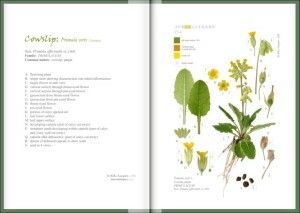 Dr M first discovered Niki Simpson’s work while admiring the colour illustrations in the Vegetative Key. The clarity and accuracy of the illustrations seemed to reach a new level and it was only a shame that there were not more in that volume! Meeting her unexpectedly at a botanical illustration event in London recently, Dr M was determined to learn more about her approach and her ambitions and here is the result, a botanical selfie to end all botanical selfies! Please click on the images to see them in their best glory! I am…. NIKI SIMPSON a botanical illustrator interested in how botanical illustration can meet the needs of the 21st century botanist. Perhaps it would be more accurate to say that I work in experimental botanical illustration, as I enjoy exploring new possibilities relevant to the future of botanical illustration. I am concerned with how image technology can be used to create new visual data, rather than simply digitising existing photographs and herbarium specimens. I got into botany and botanical illustration… so long ago that I can’t really remember. I have drawn, painted and loved plants since I was a child, and was fascinated by scientific illustrations of them even then. No doubt my parents, who were interested in gardening on chalk, and growing up surrounded by beech woods on the North Downs, had a large part to play. I studied botany for 3 years as part of a BSc degree in environmental science at Sheffield University, but then moved abroad with my husband’s job for a number of years. However I was lucky to get back into botany, working in the Botany Department at RHS Wisley for many years, before leaving in 2008 to work as a freelance botanical illustrator, in collaboration with botanist Peter Barnes. My interest areas… I am currently enjoying working on illustrations of native British plants, creating scientific composite botanical illustrations using digital (largely photographic) techniques. These depict all the diagnostic features, and characteristic features where space allows, exhibited by the plant throughout the year. My images record living colour and living form, both of which are often lost on pressing and drying, and so where my image is created from an individual plant, the illustration can be used as an “image specimen”, as a useful supplement to the voucher specimen of that same plant. As the digital medium allows great flexibility, I also create other images, using all or some of the component parts for other purposes, ranging from simplified versions of these, to book covers, diagrams, through posters and educational images, to design work. I have built up quite a considerable personal photo reference library of plant parts as a result. Apart from illustrating plants of our British flora, my main interest is in creating contemporary images, both static and interactive, which, where possible, reflect current developments in the botanical knowledge of the species I depict. Underpinning this though, is my interest is in botanical science interpretation – specifically in the power of images to attract and to communicate complex information to the viewer. I feel images can help raise awareness of plants and, being largely without words, they are easily accessible to audiences from all over the world, as well as to viewers of all ages and with a wide range of interest, from beginner to intermediate and beyond. My most enjoyable project/s… I can immediately think of three.I really enjoyed producing the cover and illustrations for John Poland’s groundbreaking Vegetative Key to the British Flora. 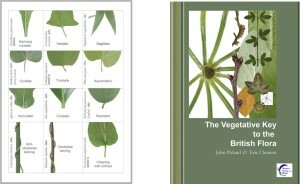 It was a fascinating project for me – the leaves of the British flora are so wonderfully varied and yet are so often overlooked in favour of the coloured and more attractive reproductive parts. While it was at times a challenge, it was a pleasure to help draw attention to them as diagnostic features. I was already including the roots wherever possible in my images, but this strengthened my resolve to include all the diagnostic vegetative parts wherever possible. It also got me started thinking about illustrating keys. Second was my first attempt at interactivity – a virtual book created in 2006 for my exhibition in Berlin. This was a touch-and-turn book in which the viewer could turn the pages, pick up a virtual magnifying glass and enlarge the image as you moved it across the page. It was fun to create an illusion of a book and, at that time, turning virtual pages was new and exciting. Lastly, I would have to include a project of my own. In illustrating our yellow waterlily, Nuphar lutea, it was such an interesting plant that I amassed so much visual data that there was simply no way to fit it in to a single illustration. So a personal project evolved, seeing to what extent I could usefully re-combine the parts, or include as yet unused parts, within images of a different emphasis, which then turned into a major challenge of seeing to what extent this technique could be used to fully document a species for botanists. It took me four years to complete, but resulted in a set of 10 images which digitally document a taxon of the British flora in a way never done before – and which one day I would like to publish or exhibit. My favourite botanical illustration/s… Those done by Stella Ross-Craig. My most difficult botanical challenge… Other than taking the initial brave step to embrace digital illustration over a decade ago, it has to be developing a botanical symbol set which I could use both within my images and in their accompanying text captions. This took me on a fascinating delve into the world of typography and the history of botanical notation, and I ended up with a symbol set, based on traditional botanical symbols, and a corresponding font. It is free for others to use – if anyone would like to try it out, just select the ‘Exact’ setting and a line spacing of 1.5 works in the Line Spacing Options. I’d be happy to hear from anyone if and how they use them, or indeed if they have comments for improving the set. 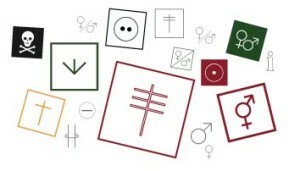 Since then I have designed additional matching symbols to denote further characters, such as ‘aquatic’, ‘climber’, ‘evergreen’, ‘deciduous’ and ‘native’. The biggest challenge/s for botanical illustration today… such a big question, I hardly know where to start, but surely a huge challenge has to be the use of botanical illustrations as, or in, interactive imagery to achieve really good identification apps, online keys and and particularly for interactive educational images to engage younger audiences. And for me, that means the future of botanical illustration lies in continuing to explore the potential of the dynamic digital workspace. But since moves to encourage botanical art into the digital age have been made, by myself and a few others, for over a decade, obviously there is some underlying resistance, that I recognise but don’t understand. Broadly speaking, unlike many artists, botanists are (and have been for many years) well aware of the benefits of the latest technological advances – for chromosome counts, molecular studies and DNA barcoding, and for quick and easy worldwide access to others’ research – and so don’t need to be persuaded to embrace the changes that computerisation has brought. 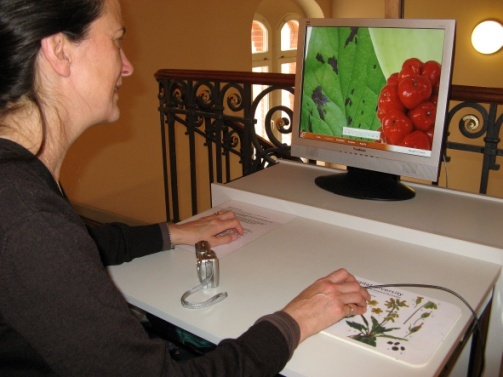 Yet digital technology is also changing the way plants can be described, identified and illustrated, though it seems that botanists as well as artists remain to be persuaded. So I see overcoming resistance to change as a first challenge. As part of this there is the subsidiary issue of persuading botanists of the value of photographs for illustrative purposes. For habit and habitat illustrations, photographs have long been used and are great, but for detailed illustrative work, specially taken photographs for photo-illustration can be the closest we can ever get to reality and the ‘botanical truth’ in 2D, and which can reveal all sorts of micro-characters and detail by enlargement, literally at the touch of a button. Few like change, but, in my view, resolutely clinging to the notion that botanical painting is always superior to photography will not facilitate botanical illustration in supporting botanists fully in the future. While I believe there is scope for both traditional and digital work, each needs to be used for where they are best suited, and digital work has been demonstrated to be the best medium for interactive imagery. So I suppose I see the biggest challenge of all is to convince the scientific community/botanical institutions of the benefits to be gained by, and then accept the realistic cost of, digital botanical illustration. As I sit and create my images onscreen, it is obvious to me that my type of work is a foundation for truly interactive botanical imagery, but I do realise that it is difficult for others to visualise what this sort of multi-purpose image can or could do, if they cannot experience it for themselves. So being able to demonstrate the potential uses to others is critical – but it is also a challenge, since demonstration, exhibition costs and programming take time and money, which for a freelance artist make it prohibitively costly. As for the acceptance of the cost of digital illustration by botanical institutions, that is going to be difficult, given that botanical art has not, traditionally, been well paid and that the current economic climate is not great. The nearest comparative pay would be that of graphic artists and is in a different league altogether. Even for static images, a high spec computer and camera or digital tablet are the basics, and image software itself is very expensive, especially with the recent move to subscription only for Adobe software products, which are the industry-standard. And while digital techniques are generally thought to be quick and easy, the exact and detailed nature of botanical work means that it is time consuming. Add to these IT support, software upgrades and backup capabilities and the costs can be prohibitive for an individual artist, while any further cost for programming interactivity, even for a demo, take the matter of funding completely out of reach of the individual artist. 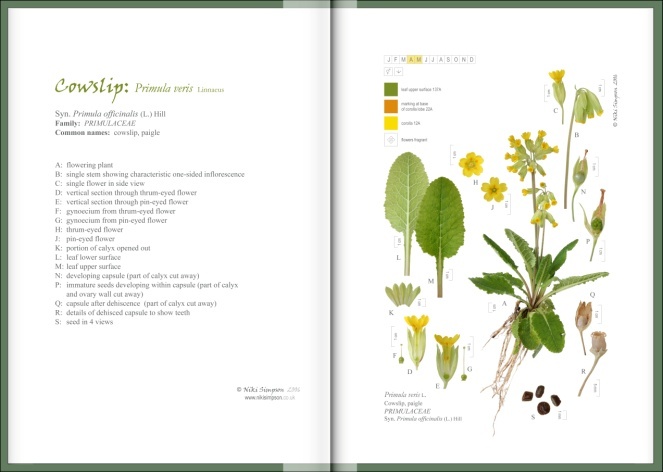 My botanical dream… has to be no less than a fully interactive, visual digital flora of British plants! I can see it in my head, know exactly how I would like it to look and work, as that is how I have always envisaged, and indeed designed, my images… but while I can envisage it, create the images and design the specification, I can’t programme it, and my pilot app has sadly not yet been realized. Dr M says: Plant identification needs illustrations like Niki’s to communicate the features and the beauty of plants accurately and with humanity. Dr M shares Niki’s dream for an interactive flora of British plants based on quality work like Niki’s and making full use of the technology available in this 21st century.